A charter school management company with a history of operating failing or shuttered schools has been approved for two more schools in Panama City, leaving some South Florida parents wondering why millions in public money continue flowing to the company and the schools it manages. "Unbelievable," said John Wai, who was told two weeks into this school year that a Sunrise school managed by Newpoint Education Partners was shutting down because it could not find suitable permanent classroom space. That despite what his wife Mariya said were repeated assurances the school would survive. "She assured me everything's going to be ready," Mariya Wai told NBC Investigators. Instead, the school managed by Newpoint, Magnolia Academy for the Arts, and a sister school, Magnolia Middle, sent letters on September 1 informing parents of the shutdown, and instructing them to contact Broward public schools to enroll their children in other schools the next day. 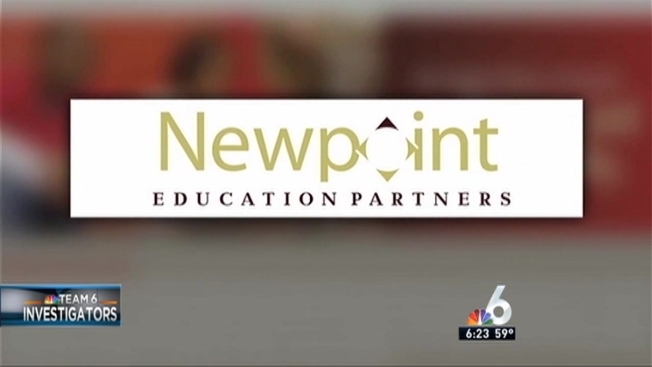 Of 10 charter schools Newpoint Education Partners manages in Florida that have been graded by the state, four have F grades, meaning they are failing academically, according to the state. Another has a D grade, four have Cs and one, in Pensacola, has an A, according to state Department of Education records. And those grades do not include schools that closed. “I don’t know how they can continue to get funding for opening up charter schools across the state,” said John Wai. But, in this corner of Florida’s Panhandle, the Bay County school board accepted its superintendent’s recommendation to approve two more Newpoint-managed charter schools, which project more than 600 students next year. Once approved by a district or the state, charter schools are funded with public money, but governed by private charter school boards. While the Broward school district informed the state last September of the Newpoint-connected closings in South Florida, the state does not alert other districts about such failures. The locals would have to do their own homework to discover that. Three weeks after the state was told of the closings in Sunrise, Bay County’s board voted to accept the Newpoint-managed schools there. But when NBC 6 Investigators tried to ask Bay County schools superintendent Bill Husfelt what he knew about Newpoint’s previous problem before recommending approval for two more of its charters, he said, “I’m not doing an interview,” then held two microphones and stood before local television cameras to answer others’ questions. After the district stationed an armed deputy between our NBC 6 camera and the superintendent, Husfelt patted the deputy on the back and asked that he tell NBC 6 he would talk without the camera. But when NBC 6 Investigators called him this week for a telephone interview, his spokesperson denied that request, as well. NBC 6 also tried to ask Newpoint founder Marcus May about his company’s performance. But when he answered the door of his home in Sarasota, he almost immediately shut it without commenting. Some local superintendents complain they cannot deny charters based on their management companies’ past performance, but the state DOE says it can be a factor. “Charter school operators or applicants that have a poor track record of either academic or financial performance shouldn’t be approved to open up new schools until they’re able to demonstrate that they have the capacity to run a high quality charter school,” said Adam Miller, DOE’s executive director of school choice. But a Bay County board member, Ginger Littleton, said the state often overrules districts that deny charters. “When you do deny it, they go to the state and whine and the state says, ‘Oh, right. You’re good to go.'" Between 2009 and the last school year, DOE records show it’s overruled districts’ rejections of charters twice as often as it’s upheld their rejections.